At least it's an easy fix, albeit not really a cheap one. BFG 235/60R14 Radial TA's at $132 with free shipping from Jegs so it's not as bad as I first thought. I originally wanted Polyglas tires but they're $240 a pop. It wasn't too hard of a decision on which way to go. I'll keep the best BFG Advantage I have now for a spare. All I need is another Rally II rim. 4 new shoes! It's amazing how much better a car drives with 4 new tires. The 2002 WS6 gets new ones tomorrow. 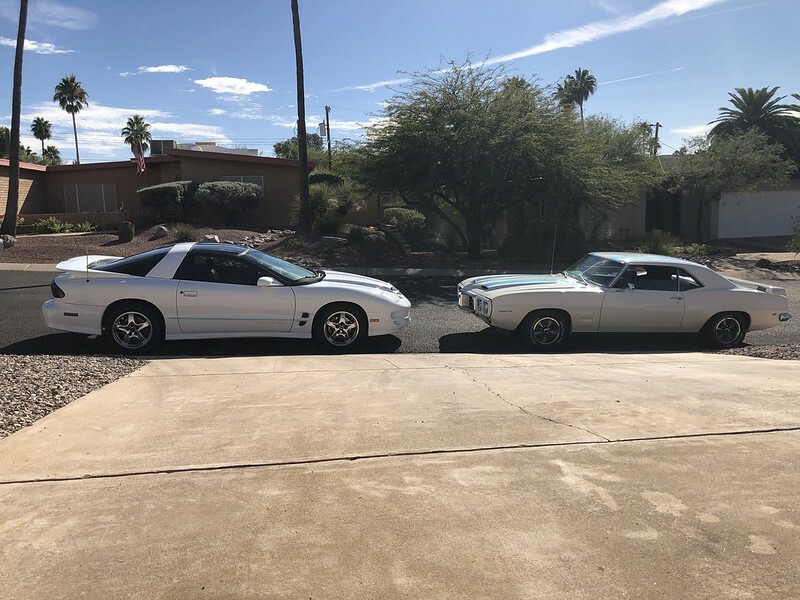 It was a beautiful weekend so I spent some time cleaning them both. 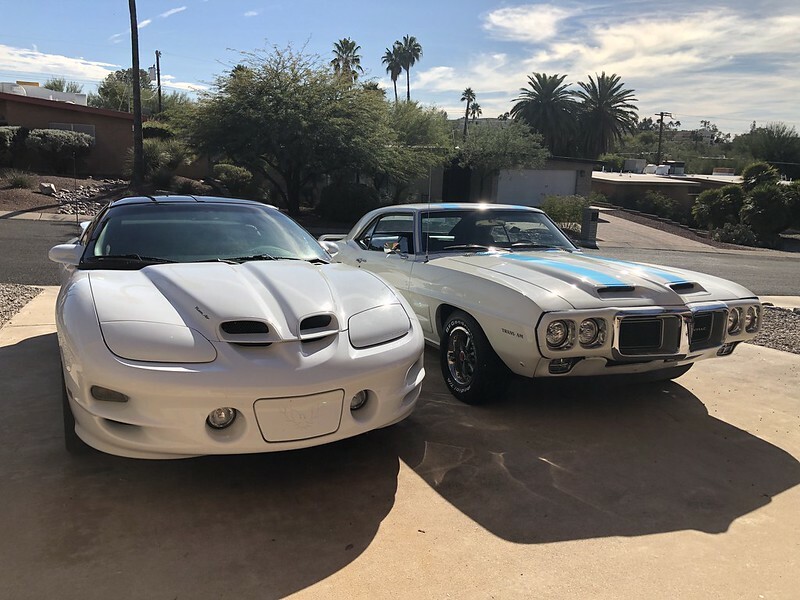 Nice looking pair of cars. What did I miss? When did you get the 4th gen? I've had it since 2005. Happy 2019 all!!! Now that all the hectic holidays are past it's time to get back to it. 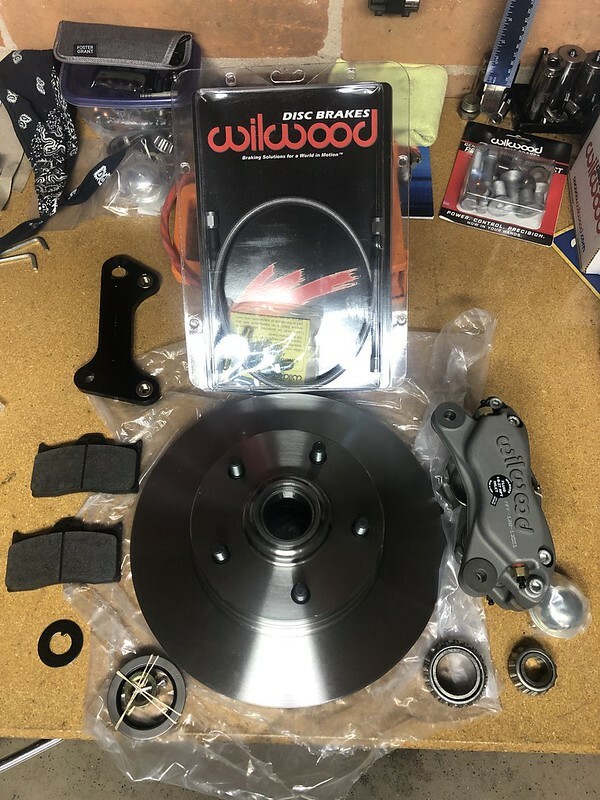 My Christmas present to myself is was a Wilwood front disk brake conversion kit and new master cylinder. I should be getting to it this weekend. Everything is included, disks, bearings, cap, 4 piston calipers, braided lines, pads, brackets, and all the mounting hardware. It looks pretty straight forward. Here's how it's going so far. 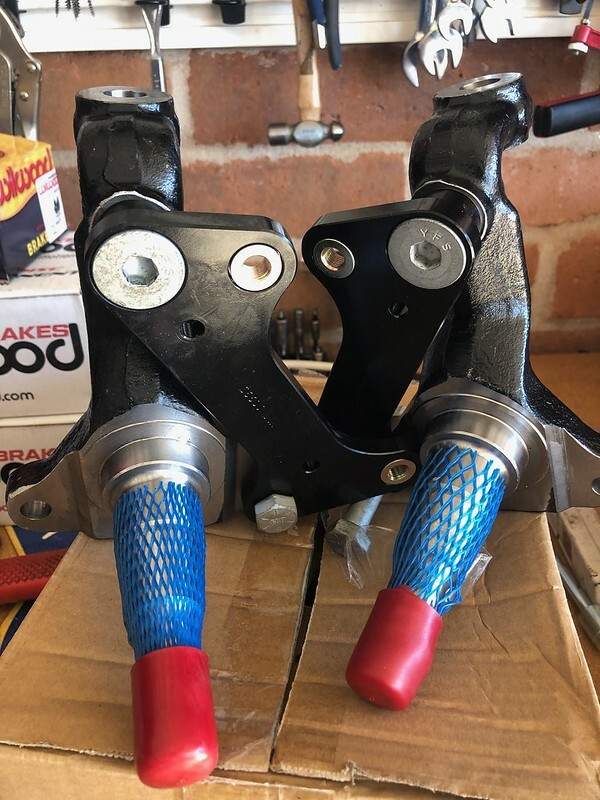 Wilwood warns that there are 2 different spindles for the 69 with different upper mounting hole sizes. The spindle with the smaller hole would have to be drilled out and tapped to use Wilwood's hardware, of course mine has the smaller hole. You can see in the image below that the new bolt is much wider than the stock bolt and has a head that fits flush with the caliper bracket. I have 2 choices. 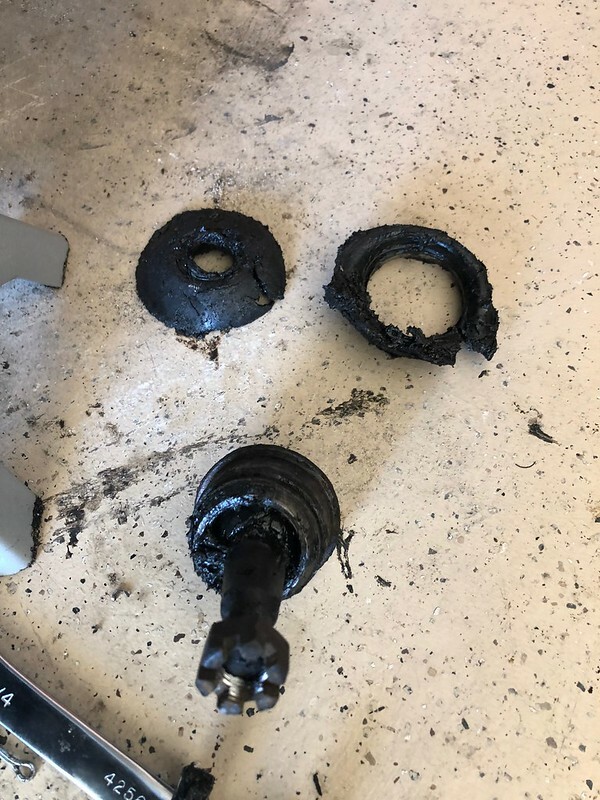 I can drill and tap the spindle and hope I can do it while it's in the car, or find a bolt that fits the existing thread and has the same head as the new bolt. I'm thinking it would be best to drill and tap to insure everything fits as Wilwood intended. The drums are off and it don't look too bad in there. 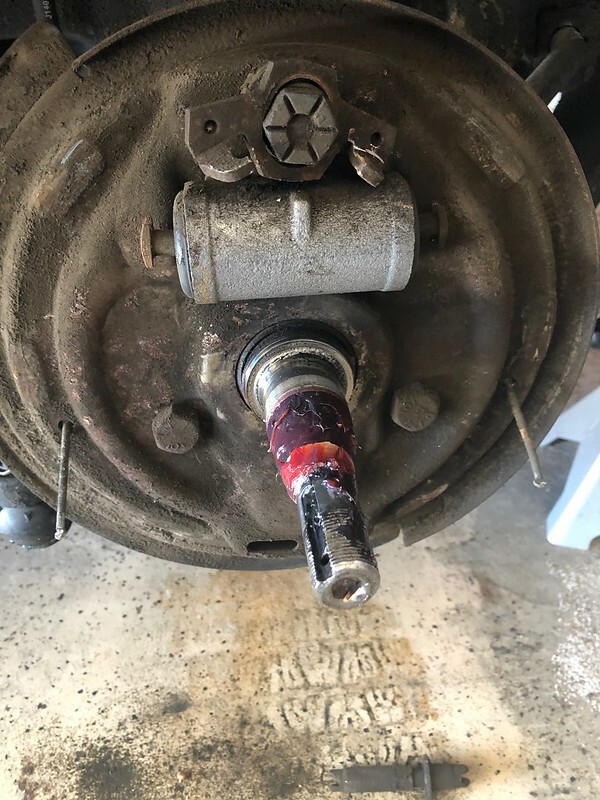 Looks like fresh grease on the spindle. The upper hole on the spindle needs to be drilled and tapped to fit the bolt on the right. 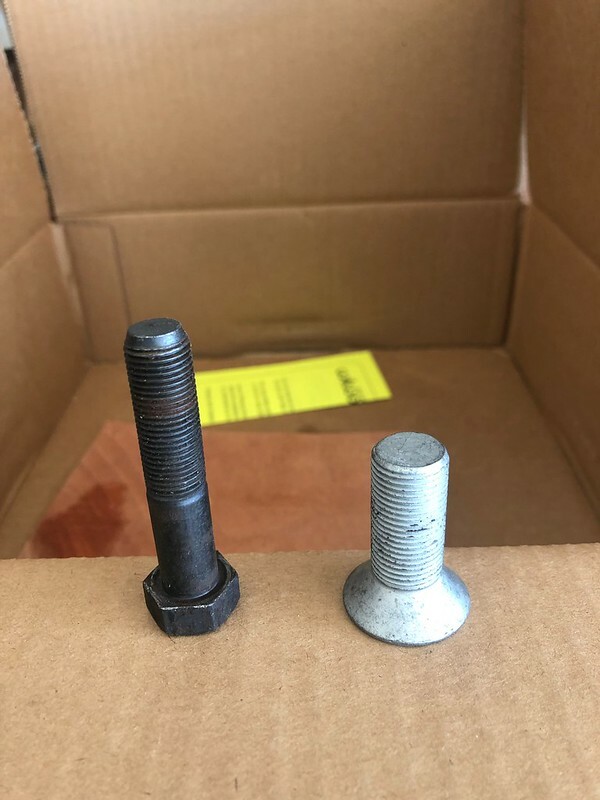 The bolt on the left is the stock bolt. 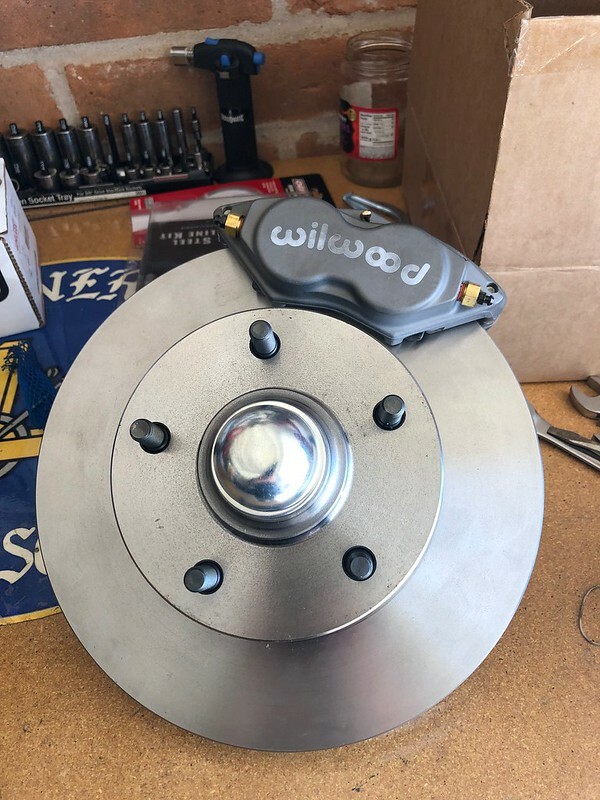 The brakes will be an interesting build to follow. Thanks for so many pictures. You have my luck, if theres a 50/50 chance for the wrong part that is me! I tried drilling the holes and tapping them today. It didn't work as well as I expected, those spindles are hard! My bits went dull before I could finish. I ordered a coil spring compressor tool so I can remove the spindles and bring them to a machine shop. I recommend doing that if you're going to do this conversion. 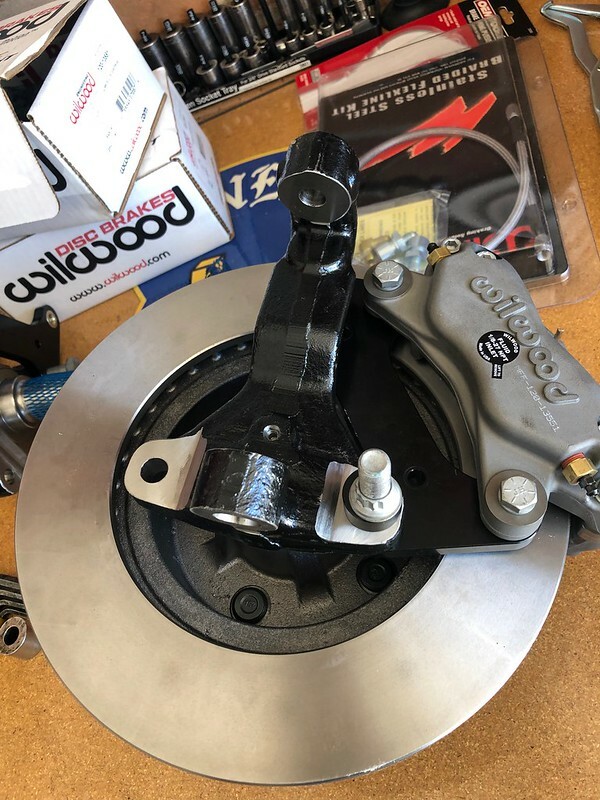 With this kit, it looks like the caliper brackets will bolt on to disk brake spindles with no modifications, but the drum brake spindles need to be modified. If you remove them and bring them to a machine shop, or if you can drill and tap them at home you'll save money over buying new spindles. I wouldn't spend the money on bits and a tap if I were to do this all over again, I would have gone right to disk brake spindles. 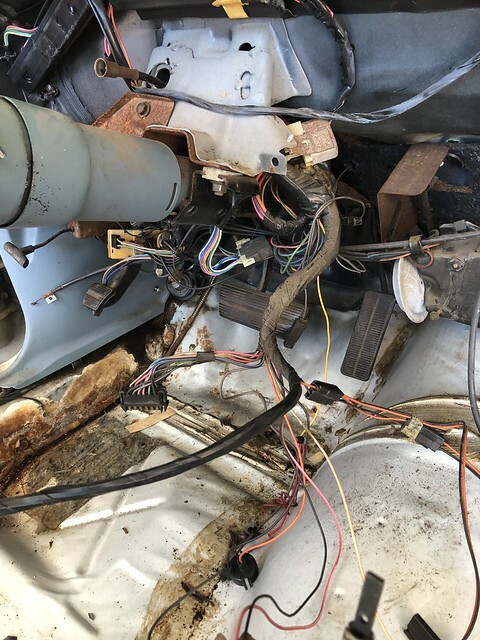 Things just never seem to go smoothly when reworking or adapting old parts, that's frustrating and then having to order and wait on new. The new spindles look great and will make life so much easier. one of those "Why didn't I just do this to begin with" moments. The car is outstanding and all the little upgrades and fixes make it even better! You're absolutely right Addict, it was definitely one of those "moments". I was going to need to remove the spindle on the right side anyway since the lower dust boot was torn apart. I ordered a set of polyurethane boots so now I'm waiting on those. 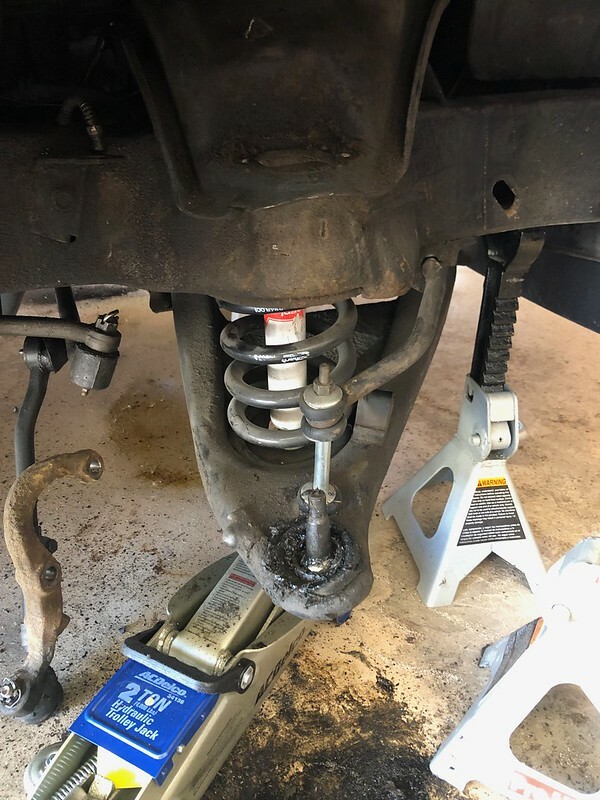 The ball joints look good so those will go back in. I'm gonna have to find a ball joint tool to rent so I can put it all together again. I put the whole assembly together on the new spindles and test fit in the wheel and it fits perfect. The wheels are 14". Finally got the new poly dust boots yesterday. They're way nicer than the original rubber style boots. They fit tight and should last forever according to the manufacturer. 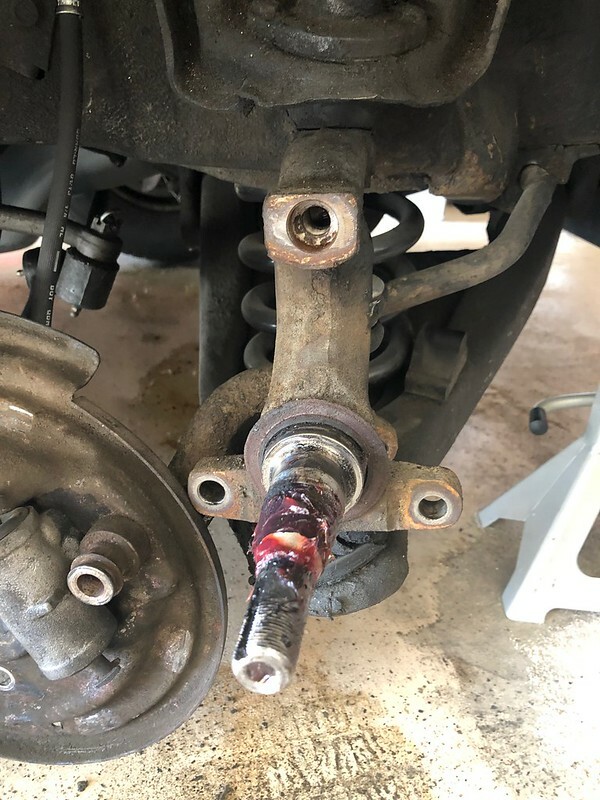 I rented a ball joint tool this morning and got to work. Everything went together smoothly. I'll bleed them tomorrow. 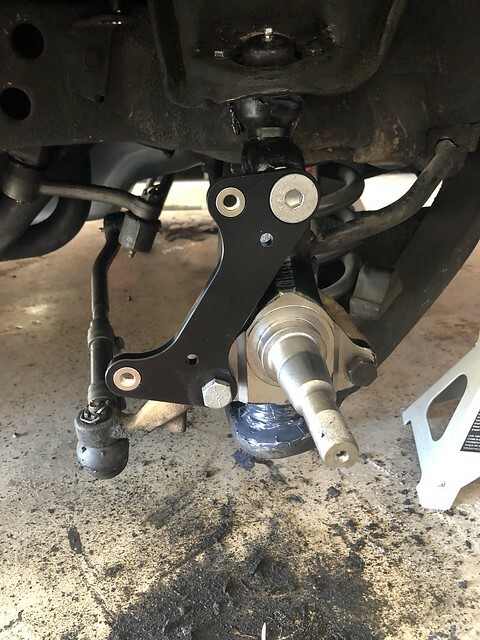 The kit included all the hardware needed and more than enough spacers to center the caliper. If I would have had everything I needed before I started it would have taken a day instead of two weeks. 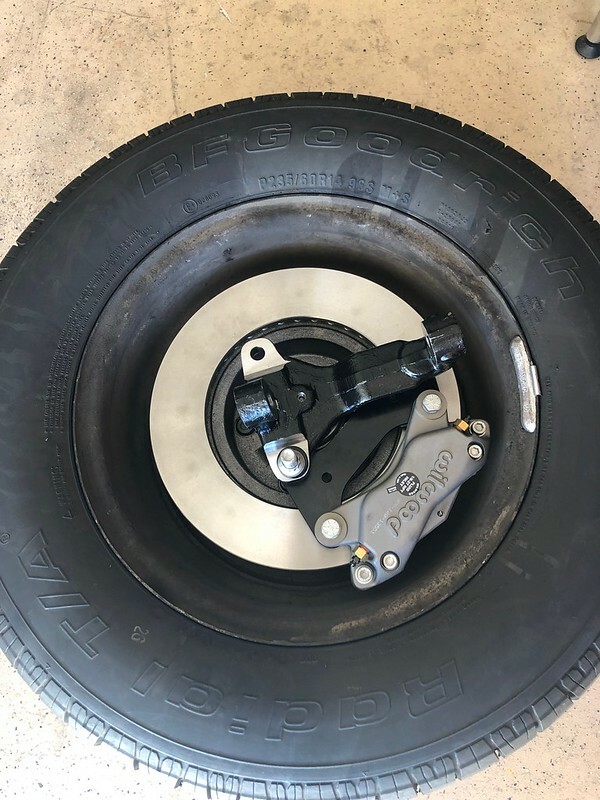 If anyone is thinking about installing this conversion kit I would recommend ordering the dust boots ahead of time and consider changing to disk brake spindles, unless you have the right equipment to make them work. The drum spindles are going to have to come out to be drilled and tapped anyway, and with the money I wasted for drill bits and a tap ($70) it would be worth spending the extra 50 bucks for some brand new spindles. The spindles were $120. It's something to think about ahead of time. Overall I highly recommend this kit or any other Wilwood kit. They got their s**t together over there. I'll use them again. I'm gonna be taking a brake from this for a while and start on a new project that I picked up. 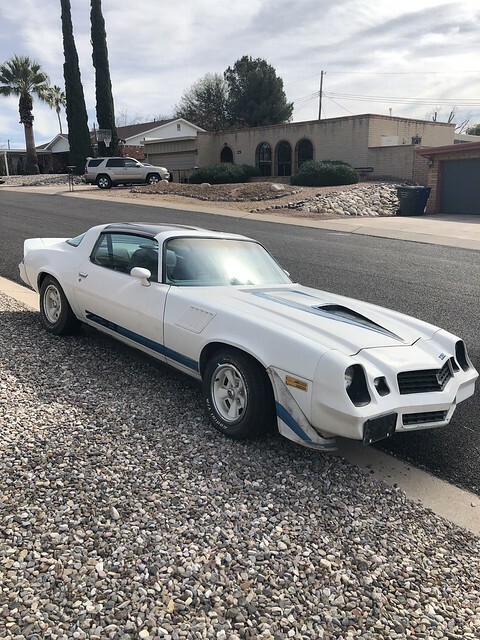 It's a 79 Z28. I know it's a Chevy, it's the enemy! LOL But I'm not keeping it, I'm restoring it and flipping it in the hopes of opening a restoration shop. It reminds me of my 78 TA, I miss that car. 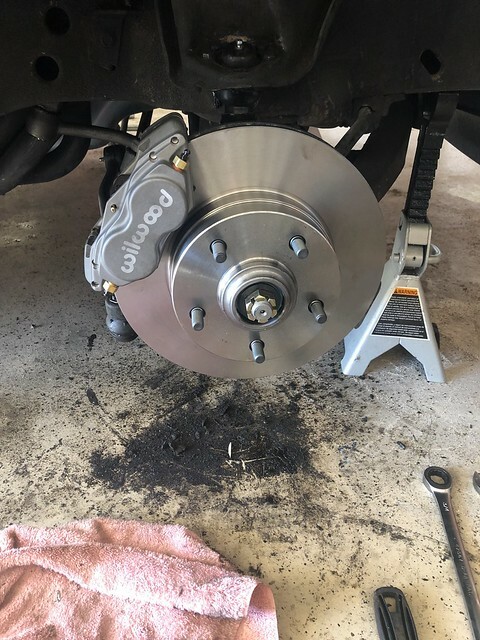 I finally got around to bleeding the brakes and testing them out. Wow what a difference! It's definitely worth the time and effort to swap over to disk. It feels a lot safer and there's no fade like with the drum brakes. 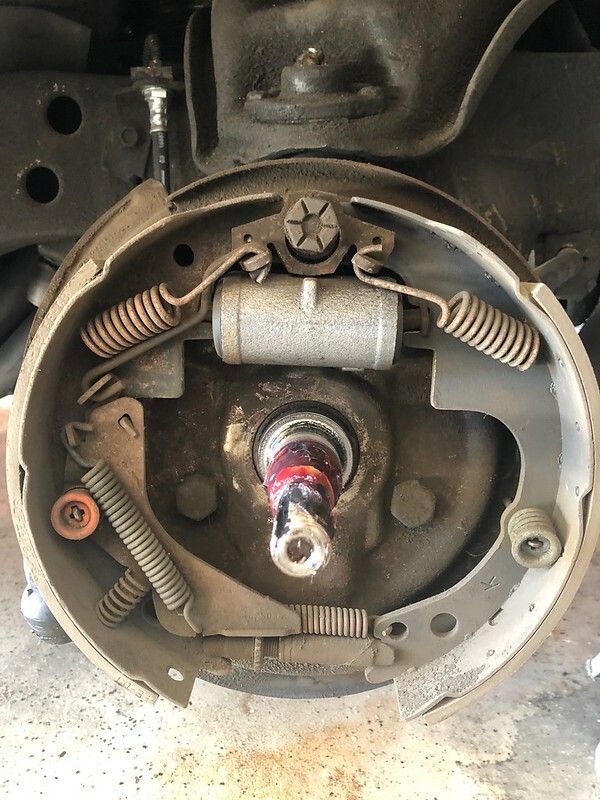 I feel more confident driving around knowing that the brakes will be there, and hold! 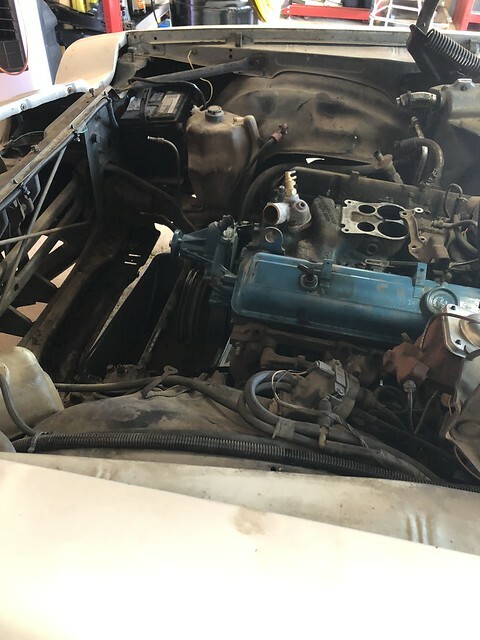 The next project on this will be to replace the 2.73 gears with 3.36 gears. That's going to have to be done by a shop when I'm ready. 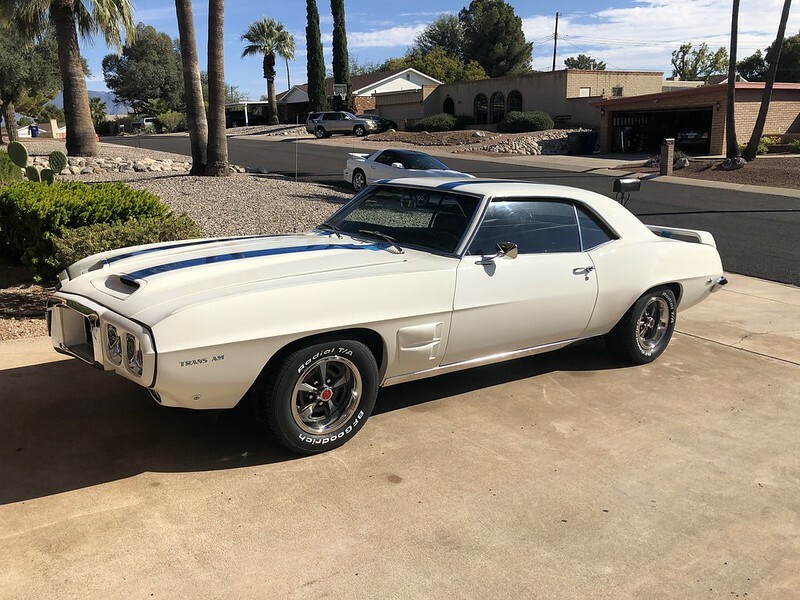 But first it's time to move it to a secure storage place and pull the 79 Z28 in the garage. 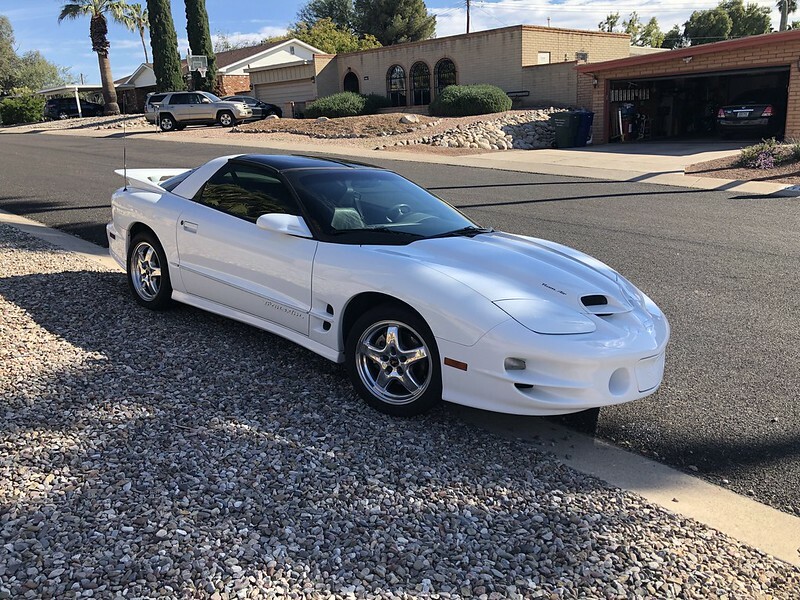 I'm thinking of posting the build on nastyz28.com if anyone is interested in following it. Nice looking Z. I dont do nasty z so post up some pics on here every once in awhile. I don’t think you have to join to view it but you won’t be able to comment. Here’s some pics roadking. She’s clean clean clean!!! The left fender, left quarter and door panels are on order. Darn I miss my TA! I may have to get her out of storage soon and let her breath a bit. 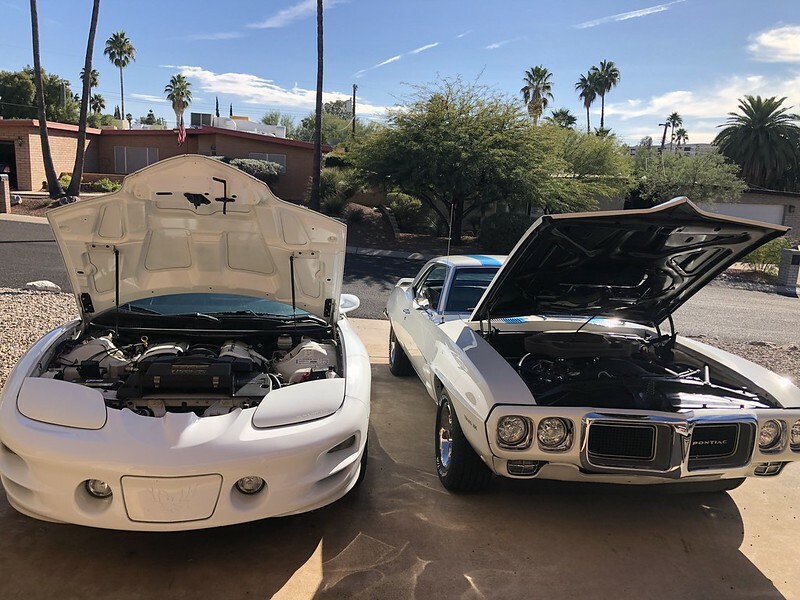 The progress on the Z28 is coming along nicely ( http://nastyz28.com/threads/79-z28-fresh-start.323346/ ) but it's a bit crowded in my garage. I got a new pice of equipment last night to help get the car up off the ground and back down with ease. I got a Quick Jack! These things are everything there made out to be. Easy to operate, sturdy as hell, and it raises the car enough to give you a lot of room to work. I only have it on the first step and I can easily roll under and work. Are you lifting it by the sub frame? Do you have exhaust on the car now? Have you tried lifting it by the pinch welds? I've been wanting to get one for 2 yrs now and I'm not sure I could use it on my TA, because of dual exhaust and traction bars. 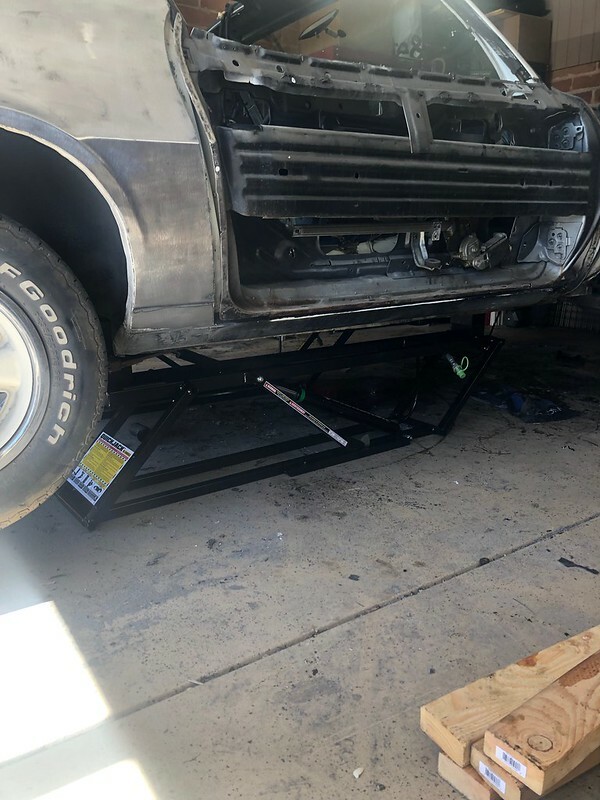 I have it lifted by the subframe but there are blocks available to lift it by the pinch welds so you can do it either way. The exhaust is currently on. 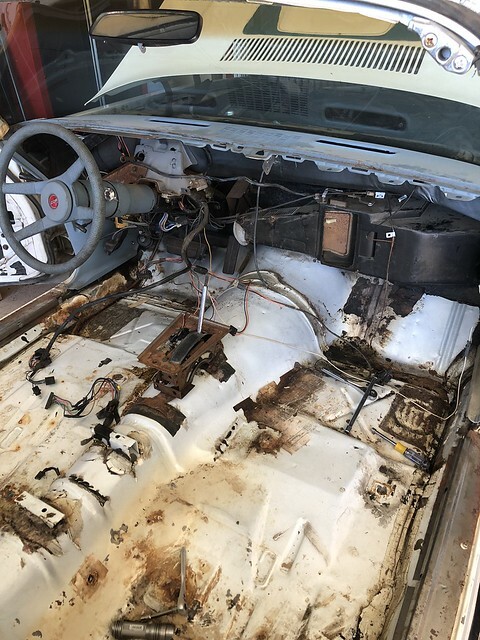 There is enough room underneath to remove the exhaust and transmission. You can also set them up across the car instead of front to back so I don't see any reason you wouldn't be able to lift your TA with it. Just read your build thread. Thanks for the link, I will check it periodically. I want a lift real bad, lol. I like what you have but I have plenty of room in my shop and will most likely go 4 post. Neighbor has a 2 post I have talked about buying from her but haven't pulled the plug yet. Maybe someday. Car is coming along nicely. Are you working on it full time? The Quick Jack is great for the garage. If I had a shop I'd probably have a 4 post too. I'm working on the car at least 6 days a week so I can turn it around quick. It's nice doing it in the garage since I can work on it as long as I want and on weekends. I'm making a hell of a mess though...lol. Hopefully I can get the body work done next week and get it to a shop to power wash it and put an undercoating on it.